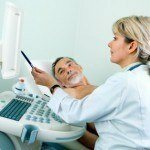 Although this website focuses on sonography as a career, another recurring theme was the many benefits of ultrasound procedure itself – benefits that will cause a high demand for sonographers both now and in future. Compared with other diagnostic tools, ultrasound is considered safe and produces no side effects. It does not expose patients to ionizing radiation and is therefore safer than CT scans and X-rays. In most cases, ultrasound is not invasive or significantly uncomfortable. It allows for safer procedures involving a needle, catheter or other invasive devices by providing physicians with a real-time visual aid. It usually involves no needles or injections and never requires an incision. 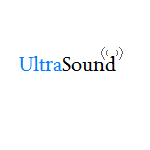 Furthermore, ultrasound is comparatively inexpensive and is available in many kinds of healthcare facilities and even as easily transported mobile equipment. Many conditions that are hard to diagnose occur in the soft tissues and structures of the body not well depicted on X-rays. 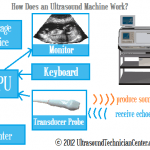 Ultrasound has opened these areas up to more precise evaluation and diagnosis. For these and other reasons, ultrasound has become indispensable in medicine. The only ultrasound safety concern that has been raised to any significant degree is in the case of fetal ultrasound. Is ultrasound safe for the developing fetus? The risks of ultrasound during pregnancy are largely unknown because few large-scale studies have addressed this question in depth. Of those studies that have looked at obstetric ultrasound safety, most occurred two or more decades ago when scanning intensities were a fraction of what is used today. Therefore, prior studies suggesting that ultrasound is not dangerous for an unborn baby may bear no relation to current fetal ultrasound practices. Some studies suggest the procedure may contribute to slower fetal growth and other problems while others show that routine prenatal ultrasound provides no benefit in normal pregnancies and may lead to a high number of babies being falsely diagnosed as high-risk. This scenario leads to a cycle of over-testing and elevated stress for the mother other family members in cases that would otherwise be treated as normal pregnancies. 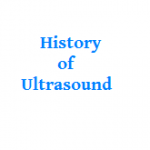 Particular concern has been raised about the effects of Doppler ultrasound on an unborn baby because Doppler uses continuous waves rather than intermittent pulses and thus causes greater exposure when compared with conventional ultrasound. Potentially more dangerous is the increasing prevalence of so-called keepsake ultrasounds. Keepsake ultrasounds use 3d and 4d ultrasound imaging not for medical purposes but for emotional and personal reasons, that is, to view and take pictures of an unborn baby and to determine its gender. Proponents claim that this bonding experience can increase healthy outcomes by motivating mothers to take better care of themselves during pregnancy. However, the fact remains that the long exposure times used in 3d and 4d keepsake ultrasounds have not been adequately studied for safety risks to the unborn baby. Given these unknown safety risks and the fact that routine ultrasound for healthy pregnancies provides no benefit and may lead to unnecessary medical intervention, some experts have made the commonsense recommendation to avoid routine prenatal ultrasounds and use the procedure only when a problem arises that may warrant further investigation. Another way to lower risk is to minimize exposure time and intensity by using a skilled sonographer and by avoiding Doppler ultrasound if possible, especially early in pregnancy. Apart from this safety concern, there is every reason to assume that diagnostic medical ultrasound will continue to be an essential tool in medicine. Technological advances are creating faster, lighter machines with more memory, and new transducer probe designs will result in better tissue access and images. Researchers are also developing hand-held ultrasounds and heads-up ultrasound displays that doctors can use during procedures. Choosing a career in diagnostic medical sonography brings with it the opportunity to watch these innovations unfold and to contribute to even more effective diagnosis and successful treatment of patients in the future.